WEB ANALYTICS IS A HOT SKILL. UNLOCK YOUR CAREER GROWTH WITH THE EXPERTRATING ONLINE WEB ANALYTICS CERTIFICATION NOW! Click below to know more. ExpertRating is an ISO 9001:2015 certified company offering online certification and training services to individuals and companies in over 35 countries. 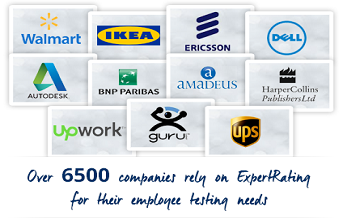 Over 25 million people have benefited from the ExpertRating Online Certifications. ExpertRating is the exclusive provider of skills certifications to the world's top-four marketplaces for freelance professionals – upwork.com; bayt.com; guru.com; and flexjobs.com – and is trusted by thousands of employers for certifying employable skills. When it comes to certifying your skills as a fitness instructor, it is advisable to go with a reputable organization like ExpertRating, which is well-accepted by companies and employers. The “Digital Transformation” is here and it has already begun to change human life as we know it. 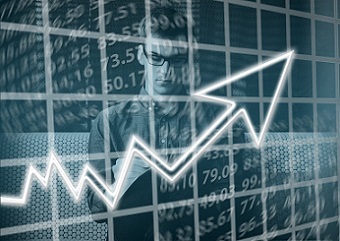 As businesses, governments, and community services look to improve their productivity, make data-driven decisions and innovate, web analytics as an area of expertise has become important to organizations to further their goals by improving their content and/or marketing campaigns in some way. The ExpertRating Web Analytics course takes you through the concepts and concerns of analytics to help you understand how web analytics works structurally and how to prepare for the kinds of problems faced while working in this field. The course goes over the various analytics tools available, with a special focus on Google Analytics, which is the industry leader in the area of web and data analysis. By the end of this course, you will have all the tools and perspectives needed to assess or improve a web marketing campaign or a product’s reception and to allow for faster and more informed decisions about such products, services or content. Mark Brimm is a 20+ year veteran of digital marketing who started out designing websites, writing, and editing online content. Mark started (123INTERFACE.com) a boutique web marketing agency, to utilize his sprawling skill sets, his extensive exposure to emerging web marketing technologies, as well as his exposure to new and unusual digital marketing challenges. 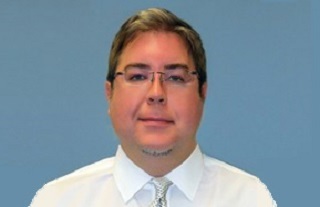 He has consulted agencies big and small, domestic and foreign since then, as well as numerous larger clients and end-clients like Chevron, Adobe, Huawei, Varel International and almost countless other SMBs and startups in virtually every industry. In addition to being a digital marketing and content strategist, Mark is also a professional copywriter who writes on new and emerging areas of digital marketing. Mark has written books on SEM and SEO and numerous how-to articles on marketing strategy for various blogs. Today Mark continues to guide agency end-clients and direct clients through the rough waters of digital marketing strategy and campaign optimization, as well as conversion optimization. Why Is Web Analytics So Important? The Specter of an Ethics-Impaired A.I. Q1. What situation(s) can cause problems in the way traffic is distinguished in the page-tagging method of web analytics? c. Wrong flags recorded in the cookies. d. a and b only. e. b and c only. Q2. How could store beacons become “views” to be tagged in GA? a. By viewing an app page view or a virtual pathway “view”. b. By way of an HTTP header being sent without content to GA upon a particular action. c. By calling the GA account on the mobile phone the app is resident on. d. a and c only. e. a and b only. Q3. What are some examples of company website elements that could be tested? a. Page text, CTA, an image, an explanatory product or service video, the look and feel of the entire site. b. Page text, CTA, a satellite image from Google Earth, a music video on YouTube, a product demo slide on SlideShare. c. A video, page text, an image introducing a new product for the first time. Q4. Why is earned media a metric of concern for social media analytics? a. It addresses how others are covering the brand in their own content. b. It addresses how the brand is covering itself. c. It addresses how the company pays for stories about itself. Q5. What is competitive benchmarking and why is it important for CI? a. Competitive benchmarking is the process of using cumulative industry metrics to gauge your own organization’s overall business performance, or zoom in slightly on key aspects of that overall performance. b. Competitive benchmarking is when a web analyst marks the graph where the data reaches a plateau in between crests and dips. c. Competitive benchmarking happens as a natural consequence of doing a simple SWOT analysis. The final test is fully based upon the Web Analytics Courseware that is provided as part of the Web Analytics Certification. If you go through the courseware properly, you should not have a problem clearing the test. The test consists of multiple-choice questions from different chapters of the Web Analytics Courseware. The process of getting yourself certified is very simple. All you have to do is buy the ExpertRating Web Analytics Course for $69.99. Log in to your ExpertRating account using your password. Go through the Web Analytics Courseware, which could take from one week to one month – depending upon how hard you work and what your level of experience is – and take the certification test at your convenience. You can take the test within one year of buying the certification. The result of the test appears as soon as it is completed, and your certificate is mailed immediately. The ExpertRating Web Analytics Courseware includes the following learning aid: 24 x 7 access to the ExpertRating Web Analytics Courseware. You can access the ExpertRating Web Analytics Courseware as soon as your payment is processed successfully, and you can complete your Web Analytics Certification within one year of enrolment. The FAQs attempt to answer most questions related to ExpertRating courses. Scroll through the list, and click on any question to view the answer. To know more about ExpertRating and its certifications, please visit the General FAQs page. You can buy this Web Analytics Courseware (leading to Web Analytics Certification) at a special offer price of only $69.99, which includes the price of the in-depth Web Analytics Courseware and the exam fee. This is the best value-for-money Web Analytics Program available till date. Worldwide airmail delivery of the hardcopy Web Analytics certificate is provided. The certificate can be used to prove your certified status and does not mention the word "online". An online transcript is also provided that mentions your score and which you can use to prove your certified credentials on the Internet at any time. In case you fail the final test, you can re-attempt the test for $10. Web analysts are in growing demand as more and more organizations struggle to keep up with the industry of web analytics and data analysis. The ExpertRating Web Analytics certification course opens up a wide variety of career options for you in the field of web analytics. Once you have successfully completed the course, you become a certified Web Analyst, who can take up any web analytics role that involves using and processing web data to solve web data measurement and interpretation problems for businesses, government agencies, non-profits, and any other kind of organization. According to PayScale.com, the median earnings of web analysts is $72,300, with the top pay being as high as $94,100. Jobs in this field are estimated to grow at the rate of 25% during the 2012-22 period. As decision-making becomes increasingly data driven and as innovation becomes a necessity for organizations to stay competitive, the need for people who can make sense of enormous amounts of data and use it to advance organizational goals is, quite naturally, on the rise. The ExpertRating SEO Certification course is a well-researched online course that has been developed for people who would like to master the tools and techniques of search engine optimization. This course, which will lead to a recognized SEO certification, has been designed in a way that even beginners or people new to SEO can understand it with as much ease as seasoned professionals. This course covers a wide range of tools and techniques that are employed by SEO professionals to attract valuable traffic to a website and has been developed keeping in mind the requirements of major search engines. With an ever-growing list of social media sites, choosing what and where to focus can be overwhelming. The focus and mission of this online Social Media Marketing course is to familiarize you with both the business and end user perspectives of using the most popular of the social media sites. The ExpertRating Online Business Writing Course (leading to Business Writing Certification) is a well researched 150 page online course. The course has been designed so that it is easily understood by beginners and people new to business writing apart from seasoned business executives. The ExpertRating Virtual Assistant Course leading to Virtual Assistant Certification offers you a unique opportunity to get a Virtual Assistant Certification from one of the leaders in online skill testing and certification. Learn what a Virtual Assistant is, the kinds of services they provide, the necessary skills that are required to become a Virtual Assistant, and the many benefits that come from choosing a Virtual Assistance career. The ExpertRating Online Time Management Training Course (leading to Time Management Certification) is a well researched online course that has been developed for people who would like to master time management skills and techniques. Web Analytics Certification was a great opportunity for me to excel my career as a web analyst. I learned all the required content properly. Web analytics Certification contained valuable resources required to become a web analytics expert. Thank You! A good and well-structured web analytics course! The exercises described were clear and easy to follow. Web Analytics Certification was worth my time and value for money. Very thorough with study material. I have enjoyed my learning experience with this training. It’s a self-paced program, with access 24 hours a day. I have gained very useful insights through this course to pursue my career in the field of web analytics. Highly recommendable! Practical and very useful study material. It had a huge influence in my success. ExpertRating is a PayPal verified seller with 200,000+ sales through PayPal. Payments can be made using all major credit cards or PayPal. As a TRUSTe seal holder, ExpertRating complies with TRUSTe's strict program requirements, ensuring that your information is always safe. our courses and tests conform to the highest international quality standards. McAfee's intensive, daily security scans.